As a Speech and Language Therapist, this is a question I often hear. In fact, it is not always a question, but a statement; bilingualism causes speech and language delay or my child doesn't speak yet because we speak two languages at home. So is this true? The short answer is...no! Well, lets look into this further. Research shows that there is a very slight delay for bilinguals; 2-3 months. That is months not years. So, if we look at the average age of first word production which is 12 months old and think about a bilingual having a 2 month delay, this means they may say their first word at 14 months. Is this significant? Not really. 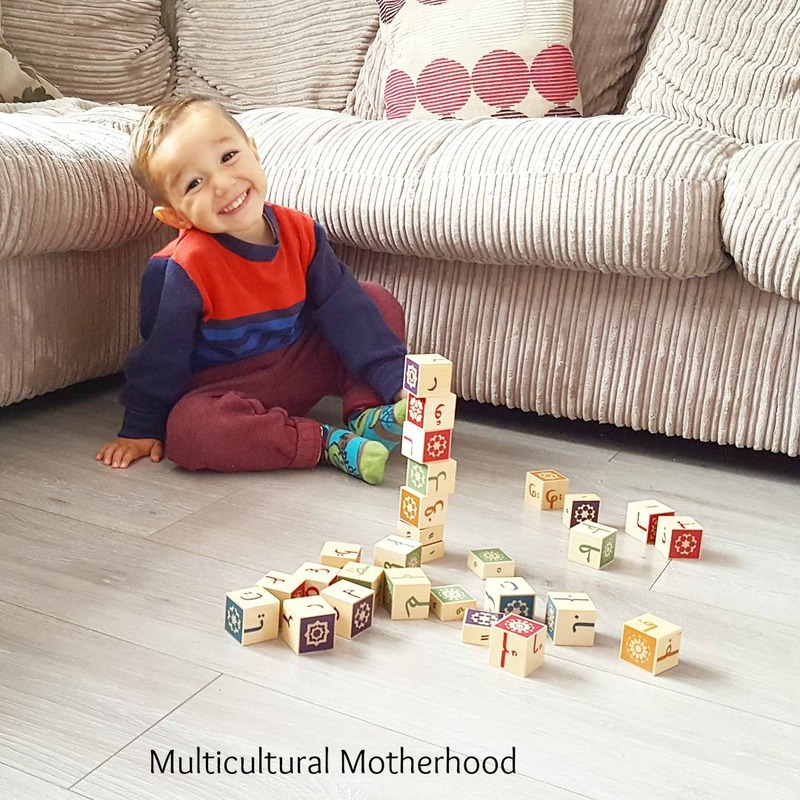 You see, there are many monolingual children who will say their first word at around 14 months of age and it is completely normal. There are children who say their first word at 9 months old, both monolingual and bilingual. There is so much variation. I often think, where does this myth come from? I think, in general, there is a real lack of understanding of bilingualism and bilingual language development in particular. A lot of people have told me it is their health visitor who has told them that their child's speech and language issues are because they are bilingual. 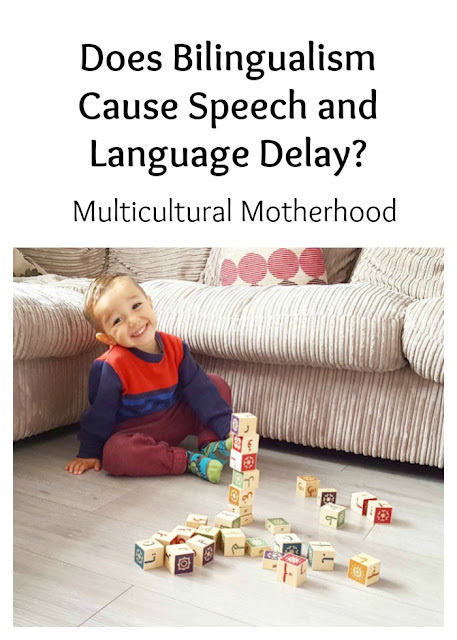 I have even heard of health professionals telling parents to stick to one language to prevent speech and language delay. This is not necessary. Just as monolingual children may have a speech and language delay, bilingual children may also have a delay. However, if a bilingual child has speech and language delay it is not because they are bilingual. Chances are they would have had a speech and language delay if they were monolingual. Many people will think their bilingual child has a delay if they are not saying as many words in the majority language as their monolingual peers. The thing is, bilinguals will have their vocabulary split over the two languages. Therefore, while a monolingual may say 100 words in their one language at the age of 2 years old, a bilingual child may say 50 words in each language. Therefore, it can appear that they know less words while in fact, they know the same amount but they have half the words in one language and half in the other. This is normal. Another worry parents of bilinguals have, is when their children mix the two languages when they are speaking. Again, this is a natural phenomenon called code mixing or code switching. Code switching is when you say a phrase in one language and then switch to another language for the next phrase. Code mixing is when you mix the two languages within a phrase. Bilingual children are very likely to do this and may not learn that the languages are separate until the age of 3 or 4 years old. After this age, they learn how to separate the languages and when they should speak each language and with whom. When children get older, code mixing is actually a sign of fluency so do not worry if your child continues to do this. Code mixing is governed by rules. In order to code mix, you need to know when and where you can make a switch according to each languages grammatical elements. Therefore, it is a sign of fluency. You need to be pretty fluent in the languages in order to know when and where you can mix them. To conclude, bilingualism does not cause a significant language delay. In fact, bilingualism has many benefits. It is recommended that you speak your first language with your child. This is because if you speak a language to your child that you are not very fluent in, they could learn grammatical and lexical errors from you. Remember, young children cope very well with acquiring two or more languages from birth. It is so much easier for them to learn languages when they are young, do not miss this opportunity!